In an earlier article, we presented a brief overview of Telegram channels and chats that promote the jihadi cause. We briefly covered Tutorial Channels, where a potential lone wolf terrorist can find the required know-how to spring into action. This article provides a more detailed examination of these channels. Finding a normal Tutorial Channel isn’t so complex, provided one moves quickly. Generally, these channels have an average longevity of approximately 48 hours, because the administrators aim to maximize distribution at the expense of security. When one views a normal Tutorial Channel to get a quick look at the contents, it is enough to enter the right keywords in the search bar. The language isn’t important – French, English, Spanish, Italian, Arabic, and more. The shared material itself is often in English or French, but administrators open special channels named in many different languages in order to reach the widest possible audience. For example, one of the best-known keywords is “lone wolf”. We can also translate it into Italian Lupo Solitario, German Einsamer Wolf, or Spanish Lobo Solitario. These terms should lead the user to similar channels, where the same administrators disseminate the same material using the same methodology, just under different names. Monitoring the activity of Link Channels is another successful way to find Tutorial Channels. Link Channels often share links to access the Private Tutorial Channels that cannot be found through the search bar. It is Fan Channels, however, that provide the best opportunity for constant tracking of the Tutorial Channels. Usually they have a low number of users and they provide links to contact channel administrators privately. If you are lucky, once the administrator’s trust is gained, generally by answering questions about your origins, sympathy for a terrorist group, or your manhaj (Islamic methodology), he or she will provide you with the access link to the Source Tutorial Channel. This kind of channel is unique. It works like a normal Link Channel, but it only shares links for Tutorial Channels. They provide Tutorial Channels in many languages, allowing us to detect new trends and possibly to anticipate which country will see lone wolf jihadists emerge. Constant provision of Tutorial Channels of several types. We could notice, for example, increasing activity in the Chemical Tutorial Channels and therefore optimize the focus of our analysis or security system investigations on plots going beyond relatively simple attacks using vehicles, bladed weapons, or firearms. It is still hard work. For example, a Source Tutorial Channel named v*1r#’U°S§ (Virus) was tracked recently. Its activity went on continuously for over three months, from April to July 2018. We don’t actually know whether it was closed for precautionary reasons by the administrator or if it was reported by some infiltrated user. The technical materials available through this Source Tutorial Channel didn’t indicate a clear administrator’s affiliation to a specific terrorist organization. But the tracking operation did start in a Fan Channel close to the self-styled Islamic State named Muharir al Ansar. Moreover, in a best case scenario, seizure of Telegram data can help the authorities to build strong prosecution arguments against terrorists, as seen recently with British terrorist Husnain Rashid. The image at the top of this article is one of his Telegram messages. Nonetheless, even though Rashid is now serving life in prison, his material is still available on Telegram, according to a report on 18 July by BBC Monitoring. Military Tutorial Channels share information and training on the use of different weapons, self-defense techniques, and basic survival courses. Often the most technical manuals – how to clean and load gun or how to use a knife, for example – are accompanied by videos recorded directly by mujahidin engaged on the front and then subtitled in various languages. These channels often have a more generic nature and they often disseminate instructions on chemical weapons. The most notorious are Lone Mujahid, Le Mujahid Solitaire, LM Worldwide, Lone Wolves and Answer the Call. Cyber Tutorial Channels provide basic information on maintaining cybersecurity and know-how for conducting elementary cyberwarfare operations. Examples include how to hack a Facebook profile, how to make web browsing anonymous, and how to conduct a basic “Denial of Service” (DoS) attack. This category has seen considerable development – the cyber tutorial channels are constantly on the rise. Among the most popular, one finds Caliphate Technology, Android Caliphate, Informotion and FanBoys CC (an acronym for Cyber Caliphate). Chemical Tutorial Channels provide specific instructions on the use of chemicals. For this reason, the explosives channels fall into this category. Here the aspiring lone wolf can acquire the necessary know-how to prepare explosives – IEDs – at home, rudimentary chemical weapons, and poisons for terrorist attacks. This is the most specific tutorial channel category, as a result of the subject matter’s sensitivity. The administrators often share many chapters on security issues and “common mistakes” in bombmaking. The best-known channels are Cecil Science, Explosives, KhilafaDoc. and [lethal dose]. The most shared chapters are “How To Make A Bomb ln The Kitchen Of Your Mom”; “How To Make Acetone Peroxide (TATP)”, a high-powered but delicate explosive also known as “Mother of Satan”; “How To Make A Remote Controlled Detonation”; “Poison of Rotten Meat”; “Nicotine Poison” and “Scorpions Poisons”. Generally, the instructions on these channels are disseminated as normal text messages. 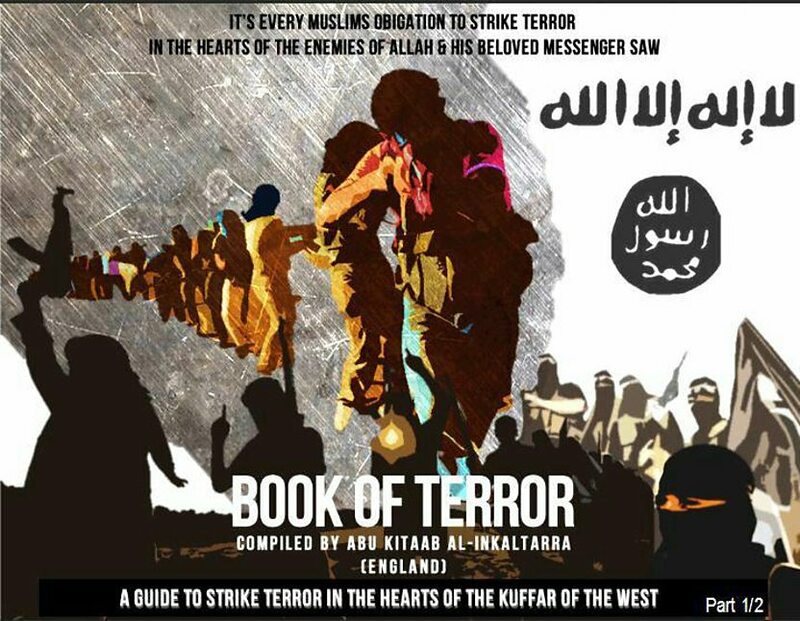 These messages are integrated with video or audio tutorial and pdf files for more specific instructions and also with jihadi magazine extracts from Inspire (an al-Qaeda magazine) or Dabiq and Rumiyah (Islamic State magazines). The magazine extracts shared on these channels can reveal the administrator’s affiliation with a specific terrorist organization. The administrators of these channels also give some specific usage advice to readers, such as turning off the application’s notifications when the messages are spread (about 1,000 messages will spread in a few minutes), taking screenshots of posts covering favorite issues, or saving favorite training instructions in “saved messages”. In sum, the aspiring lone wolf can find all he or she needs in these channels: physical and mental training instructions, security advice for the attack planning phase, and advice on how to announce affiliation with Islamic State when the attack is carried out. The phenomenon of lone wolves is closely associated with Islamic State, thanks in part to the appeals launched by its late spokesman, Abu Mohammad al-Adnani. That said, it is good to remember that it was al-Qaeda, and in particular al-Qaeda in the Arabian Peninsula, that made the first call to arms for the lone mujahid living among the unbelievers in Western cities. With a weapon of mass distribution such as Telegram, the lone wolf phenomenon will not disappear, not even with the self-styled Caliphate’s territorial fall.